For some reason, Microsoft doesn’t want us getting in to the Control Panel on our computers. 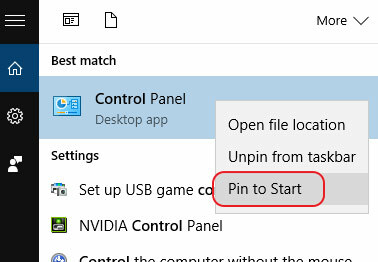 In Windows 10, they’ve created a different thing called “Settings”, but Control Panel is still there (at least for now) if you know where to find it. Here’s how to get to it easily in Windows 10. Depending on how recent your Windows 10 updates are, you might be able to get to Control Panel by just holding down the Windows key and tapping the letter X. That brings up this quick menu, and Control Panel is right there. But that only works if you DON’T have the most recent major Windows Update, called the Creator’s Update. Not everyone has it yet, so that’s okay. You’ll get it eventually. If you do have that recent update, you can still pull up the Windows key + X quick menu, but Control Panel is no longer listed there. So what we want to do is get access to it initially, then set it up so that it’s EASILY accessible from now on. 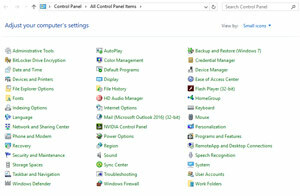 And when you click it, you’ll see the old familiar Control Panel window there. Or if you want, you can put it in all three of those places! Here’s how you do that. 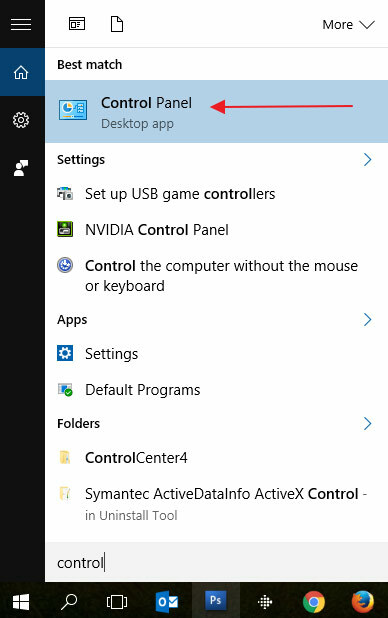 Now when you click the Start button, you’ll see a new tile in the menu named Control Panel. The taskbar is the toolbar that runs across the bottom of your screen. It’s a handy place to put program icons that you want to have easy access to. So now you have easy, quick access to Control Panel. Here’s the funny thing. On my computer, I don’t really even go into Control Panel very often. But I still like knowing that I have easy access to it. Maybe it’s just a psychological thing – Microsoft says they don’t want me to use it, so that makes me want it even more than I otherwise would.